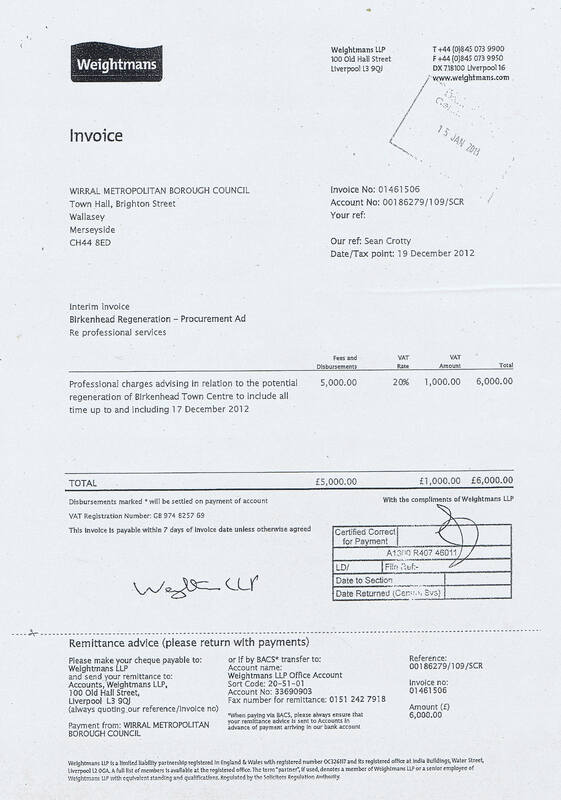 Earlier this year Wirral Council paid £6,000 to Weightmans for “professional charges in relation to the potential regeneration of Birkenhead Town Centre to include all time up to and including 17 December 2012” and £1,404 for procurement advice from Peter Oldham QC. You can see the invoices by clicking on these links and there’s a Wirral Globe article from July about Neptune being asked to come up with a master plan for the area. Wirral Council have a Corporate Procurement Unit so why didn’t they ask them for advice instead? They even have sixteen in-house solicitors they could have asked. I wonder if they thought that asking a Weightman’s partner and a QC meant that if someone made a FOI request for the advice, Wirral Council can (rightly or wrongly) claim a section 42 exemption (legal professional privilege). However as this advice isn’t in relation to any legal proceedings, section 42 doesn’t apply. Therefore I’ve made a FOI request for the advice provided on the whatdotheyknow website. Update: 26th September 2013: Wirral Council have switched it from a Freedom of Information Act request to one dealt with under the Environmental Information Regulations 2004 and refused it under regulation 12 (5)(e) “commercial confidentiality” and 12 (5)(b) “legal advice privilege/legal professional privilege”. This is a wanton waste of Council taxpayers money. Why does Wirral employ officers at ‘film star’ salaries, and use expensive consultants? It makes me think that they don’t know what they are doing. What surprised me was it happened during a spending freeze when there wasn’t supposed to be any “non-essential spending” (although maybe the work was started before the spending freeze happened). 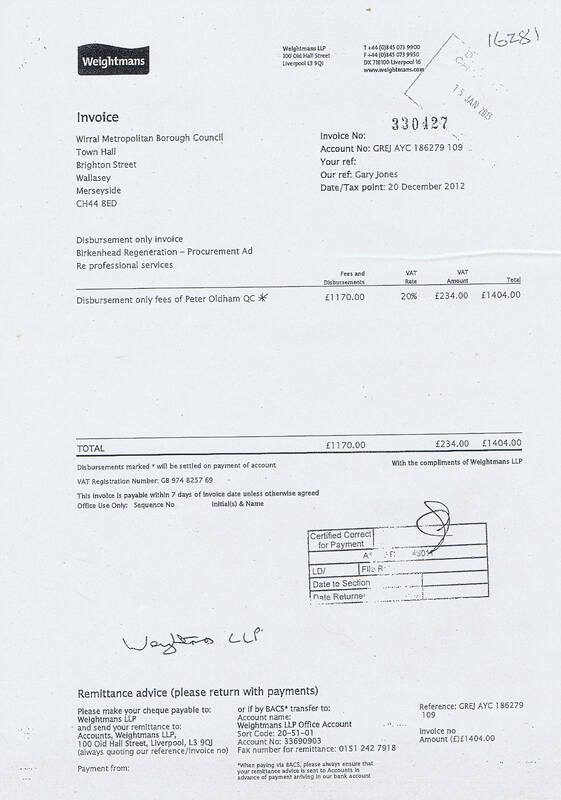 It has similarities to the £55,000 spent on legal advice for the Hoylake Golf Resort project. Both times expensive legal advice about procurement have been asked for it’s been from the Regeneration and Environment directorate. its time to get some free advice from the fraud squad ,merseyside police or better still an outside police service. Well it’s unrelated to this, but when Wirral Council have made an allegation of fraud to Merseyside Police, the police have been known not to be able to take it further due to lack of evidence.